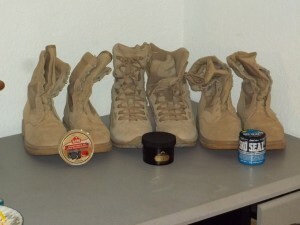 I have a pile of boots from my military service. 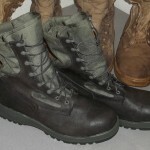 Now that I’m out, they’re mine and I can care for them in the way that I choose, rather than how the uniform dictates. In order to preserve them, I’ve decided to try out two well-respected leather protector products, Sno-Seal and Obenauf’s Heavy Duty LP. I’ve also thrown in a can of locally-sourced Kiwi Conditioning Oil. 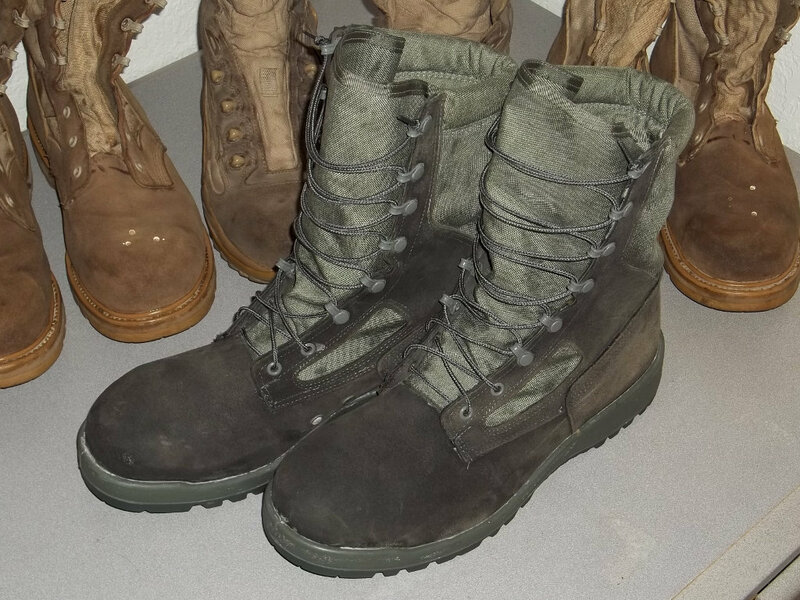 The boots I’ll be testing with are three pairs of Air Force issue ABU boots: two pairs of regulars and one pair of tennis boots. After one coat of each product. 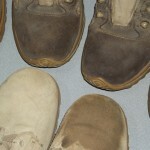 The left boot (right, from viewer’s perspective) has been melted in with a heat gun. 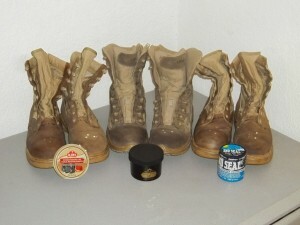 As you can see in the picture above, all three products darken the color of the boot, and the effect is increased with a second coat. All three have a waxy texture after application of the product, but the roughout texture is restored with the application of heat. Of the three, the Kiwi Conditioning Oil is the most easily obtainable from a local Wal-Mart, but also costs the most at about $3 per oz (at the time of this writing). With or without heat application, it gives a handsome finish to the leather, and resists water enough to hold beads. When the Kiwi is heated and soaked in, it lightens the color and causes the least change among the three tested products. 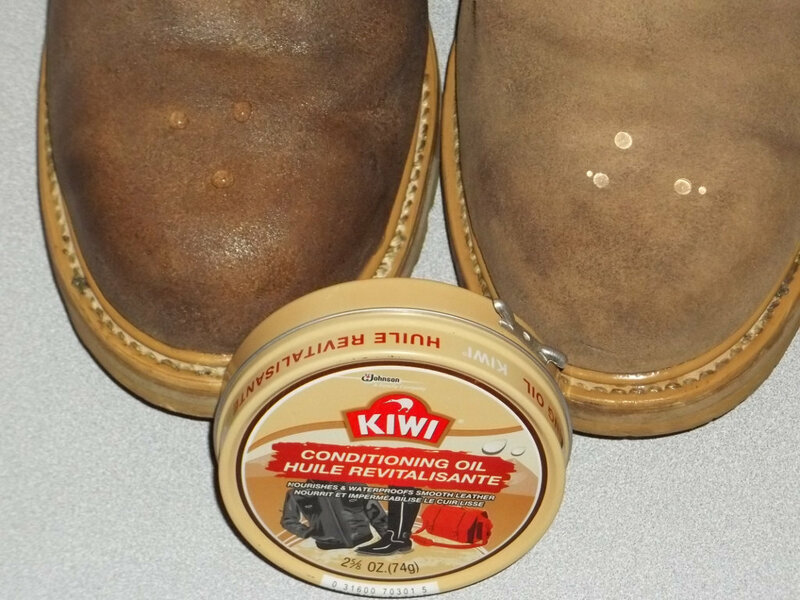 If you are in the service and wish to treat your boots, you might be able get away with a single application of the Kiwi. The rest are probably no-go (somebody correct me if I’m wrong). Price-wise, Obenauf’s Heavy Duty LP is between the Kiwi and Sno-Seal. The Obenauf’s stands out from the other two as being the only one that smells good – almost delicious, much like honey. Mechanical properties seem similar to the kiwi, holding beads of water with or without heat application. It has the lowest melting temperature, and lightens a bit in color when the wax is melted in. 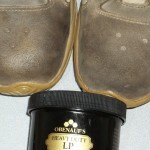 As you can see, the Obenauf’s changed the color of the leather more than the other products. 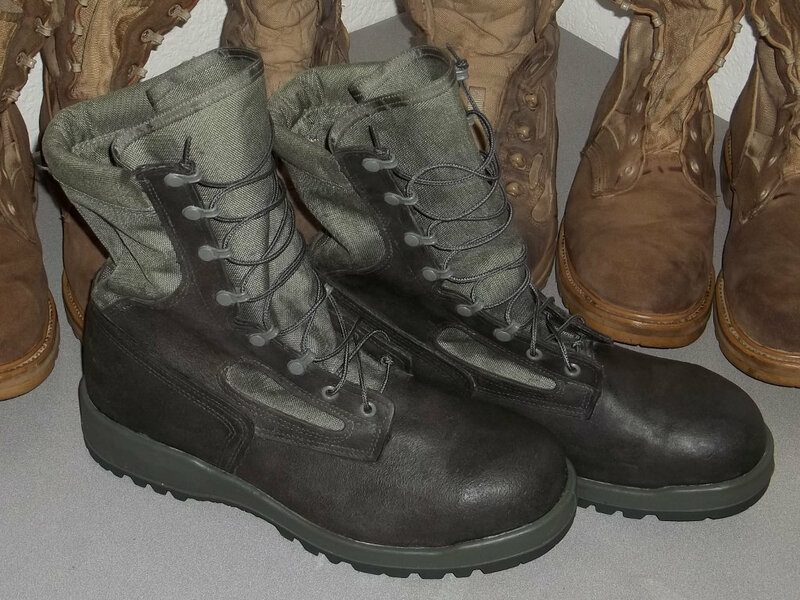 However, suspecting that this was a property of the tennis boot material rather than the product, I tried a bit of Obenauf’s on another pair of Army-issue boots, and observed a much better result; the leather darkened as expected, but retained its hue much better. 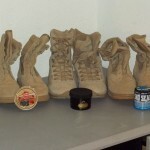 I have no doubt that had I used the Obenauf’s on a normal boot, it would have looked more like the other two products. One drawback of the Obenauf’s is that it seems to leave a white residue wherever there is an excess of wax. If aesthetics are a concern, you will need to take extra care not to let it build up in cracks and crevices, or to deal with the excess by wiping it away or melting it in. The Sno-Seal is the cheapest of the three at about $1/oz. It is the thickest, and takes more effort to apply. It leaves more of a waxy finish when applied, but soaks in with the application of heat just like the others. 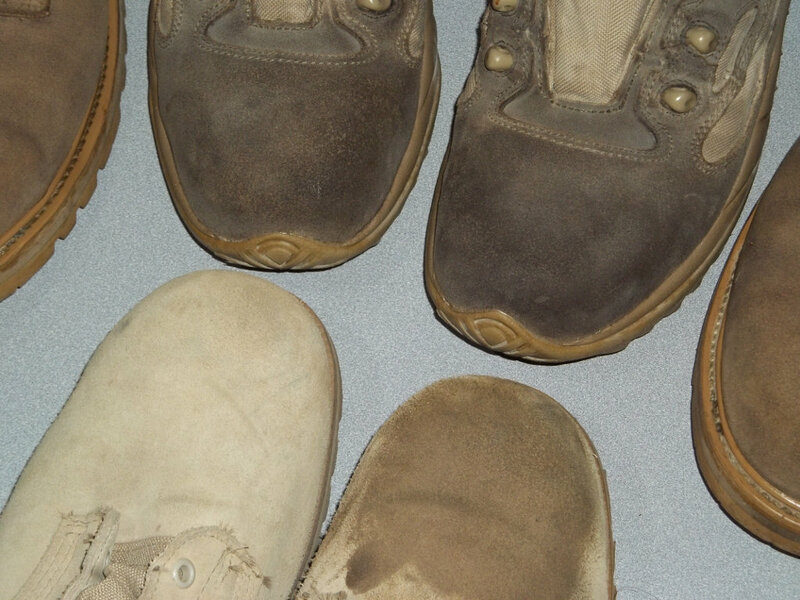 Despite its thicker consistency, it does not leave as much of a white residue in crevices after heat application, in comparison to the Obenauf’s. The Sno-Seal was the only product to be lighter in color before the application of heat, probably because its thick consistency hindered soaking in on its own. 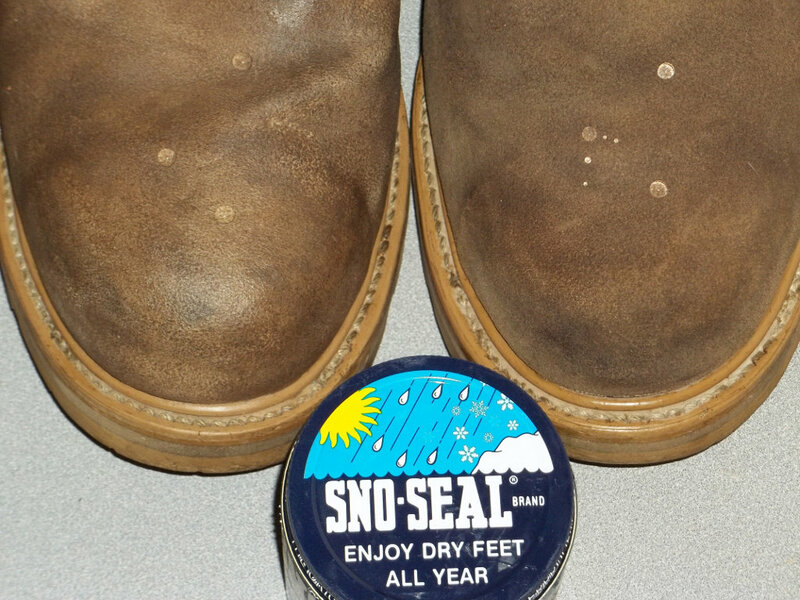 Though the Sno-Seal is beeswax based like Obenauf’s, it has a distinct chemical odor with no trace of honey. 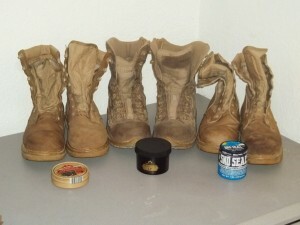 Of these products, I favor Obenauf’s the most, though I may be biased due to the wonderful smell. I think that all three products will perform well at protecting leather from weather. 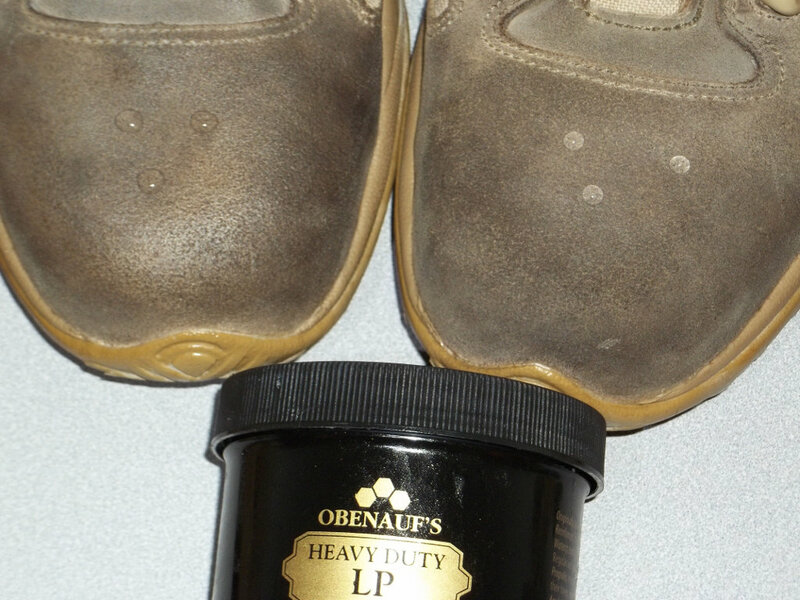 The Obenauf’s will probably work better as a preservative, as its low melting temperature will cause it to work through the leather during use, and get to the spots that dry out. 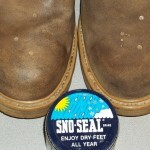 The Sno-Seal’s thick coat would make it more suited for weatherproofing boots. 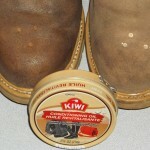 The Kiwi strikes me as best suited to dress shoes, or other domestic applications. In my case, I think Sno-Seal, due to its price, is probably going to be my go-to product, and Obenauf’s will be reserved for my favorite pieces. 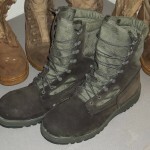 These are my Air Force issue Wellco Sage Green Hot Weather Combat Boots, from my INCH bag. The picture on the left is after soaking in three coats of Obenauf’s, and the picture on the right is after soaking in one coat of Sno-Seal and one more coat left on top. The color has darkened drastically; I think they look better now, but that is a matter of taste.